Joseph was born on May 6, 1963. He is the son of Carmel a retired Lieutenant in the Maltese Armed forces and Candida a committed wife and mother. He was born in Mtarfa’s military hospital and lived his early childhood in Senglea. He attended primary school in the same city but received his secondary education in Paola’s Secondary school. From there Joseph attended a technical school and received his education in metal fitting and metal machining. His education prepared for a job in precision tool cutting engineering, in which he worked for 13 years. Meanwhile, Joseph married to Christine and have three children. It was at his place of work where he received Jesus as his Lord and Saviour, and later his calling to serve the Lord as a pastor in full-time ministry together with Christine. Their pastoral ministry serving the International Pentecostal Holiness Church started in 1900 and since then Joseph has been involved in a constant learning path. Joseph’s mission in life is to pastor and education. Together with his wife Christine, He pioneered and pastors Word of Life PH Church and Gozo Jesus PH Church. He also oversees the Pakistani PH congregation. 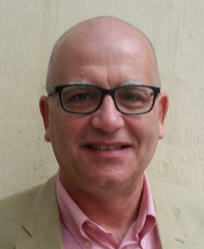 Joseph also pioneered the first evangelical work in the Maltese Correctional Facility (CCF). Since 2008, accepted the responsibility to direct the first recognized Bible School in Malta. 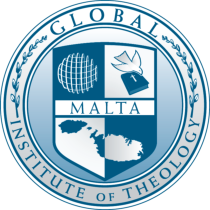 He is the director and national representative of Global University USA which operates under the name of Global Institute of Theology in Malta. He was the fist Maltese pastor with recognized qualifications. His end goal in life is the see a thriving resident Bible school in Malta.